Purchase “The 30 Day Meditation” today! Now available from Rev. Kelly R. Jackson, “The 30 Day Meditation: Acknowledging the provisions and protection of God”! 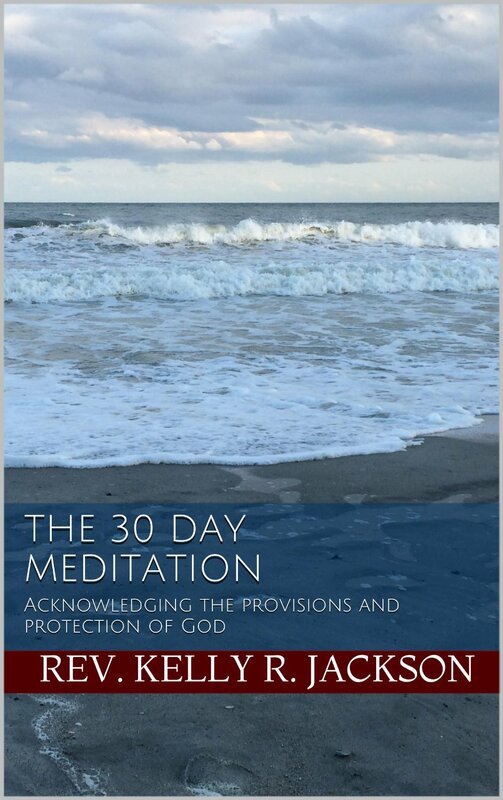 This 30 Day Meditation is designed to put each Christian into contact with God each day. While we are aware of God’s existence, it’s easy to get caught up in living life and forget to spend some time with the giver of life. This meditation is broken down into 30 days so that it will cover a month. The idea is for the reader to focus on God and His protection and provisions at least once a day for 30 days. It’s just that simple! Click here to read a few sample pages.